TOKYO, JAPAN, July 25, 2018: NTT DOCOMO, INC. announced today that it invested in PARONYM, INC., a startup developer of TIG, a next-generation interactive video technology, on July 6. The investment was made through NTT DOCOMO Ventures, Inc., a wholly owned subsidiary of DOCOMO. TIG enables consumers to tap an item in a video, such as a pair of stylish dark glasses worn by a model, quickly store the item by simply pulling it to the side of their smartphone's screen, and then obtain information about the product with incredible ease. TIG also enables marketing companies to manage three-dimensional metadata in the video content, collect audience measurement data - such as number of taps, where people touch on screens, page transitions and playback time - and to visually analyze the data using a heat map. TIG's specialized authoring tools can be used to set metadata in video content without requiring technical expertise. Until now, video content effectiveness generally has been measured with indices, such as number of views and VTR (View Through Rate). 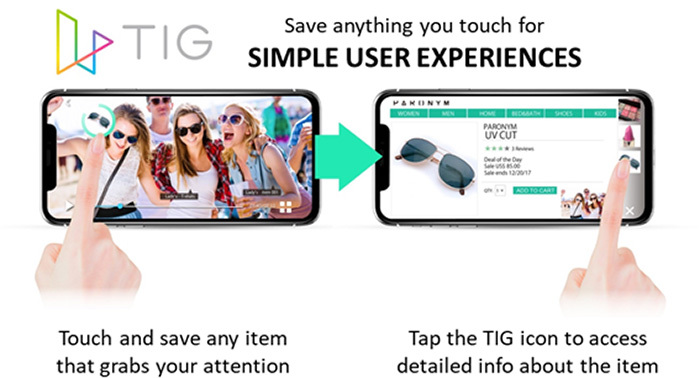 TIG, however, enables consumer interests to be visualized without having to interrupt their viewing experiences, thereby allowing information to be acquired more easily for incorporation in video-based marketing initiatives. Through its investment in PARONYM, DOCOMO looks forward to leveraging TIG to provide consumers with highly personalized video-entertainment experiences and related services. In the future, DOCOMO will build on its synergies with PARONYM to expand the utilization of TIG into areas such as video content related to concerts and sporting events.